Here in north Idaho, we get very little by way of fall color since our woods are primarily coniferous. 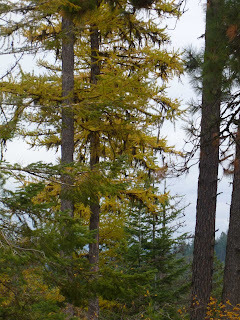 But we do have tamaracks (also called larches). 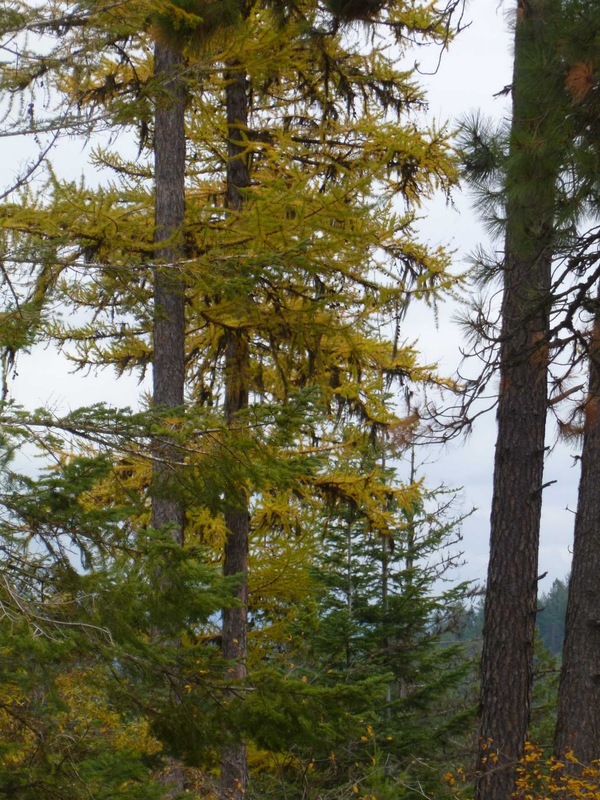 Tamaracks are unique among conifers in that they turn yellow and drop their needles in the fall, just like deciduous trees do. They can add quite a dramatic blaze of color in an otherwise solid-green forest in October and November. Took these on the way home from church. It was a misty foggy day but as I said, they make splashes of yellow among the dark green. Pretty larches! It could mean that some of those coniferuos trees are dying. I hope not but there is a fair amount of that going around.